THREE Erin Cadigan kicks off the holiday market season at Astoria Market this weekend. This market is quaint and filled with goodies, nestled in the lovely neighborhood of Astoria, Queens. 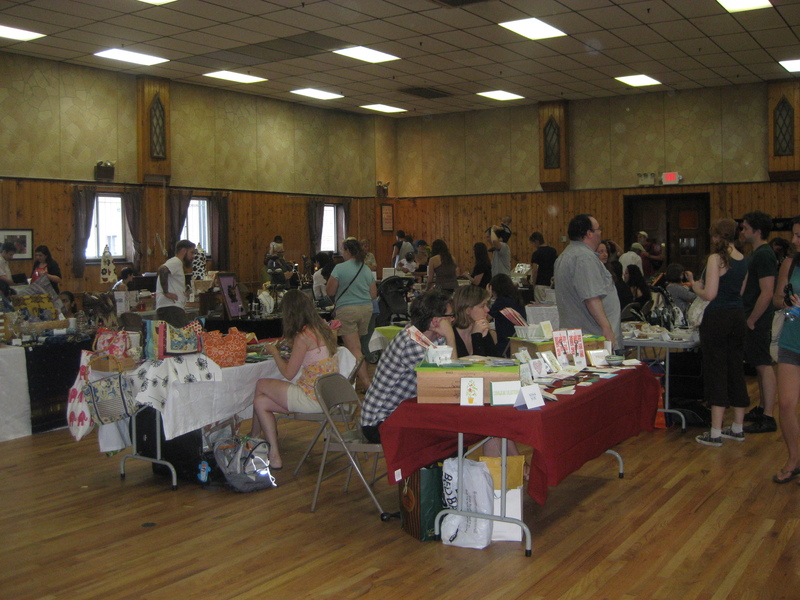 The actually market is indoors, so it will be going on rain or shine (or, God forbid, snow!). The building is a terrific old Bohemian hall. Since 1910, Bohemian Hall has been a part of New York City history. Bohemian Hall is run and managed by the Bohemian Citizens’ Benevolent Society of Astoria, a fraternal organization dedicated to education and preserving the Czech and Slovak communities in the area. Like all great Bohemian Halls this one is located at the edge of a large outdoor beer garden serving beer and bratwurst since it opened its doors early last century. So come for the hand crafted arts and stay for a hand crafted pint. There will be a raffle held by the Astoria Market team and free hot chocolate until it runs out. The giveaway/raffle is a beautiful ceramic vase handmade in Thailand by local artisans. This lovely piece was donated to Astoria Market by the great people at HandCrafting Justice. The market is open from 12-6. It’s located at 29-19 24th Avenue, Astoria, NY . Ity’s easily accessible by the Subway N or Q to Astoria Boulevard (second to last stop). Walk 1 block to the intersection of 24th Avenue and 31st Street. Bohemian Hall is located between 29th Street and 31st Street. 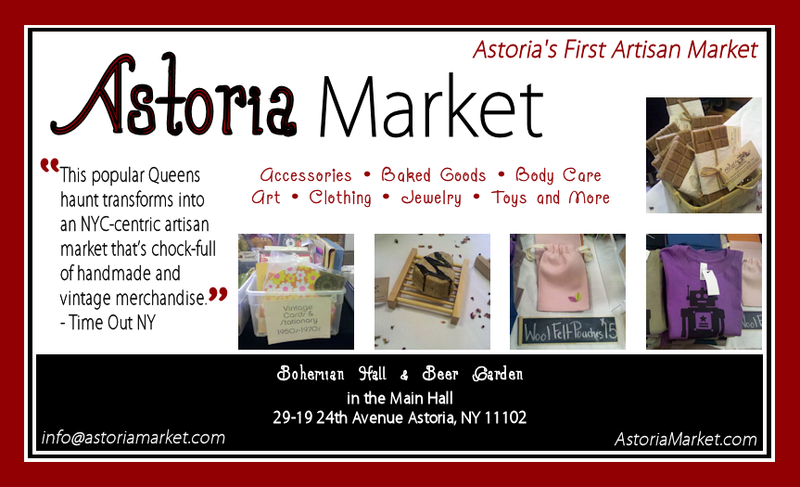 For more information read my last post about Astoria Market. This entry was posted on November 3, 2011 at 1:39 pm and is filed under EVENTS with tags astoria market, astoria queens, Bohemian Beer Garden, events, handcrafting justice, holiday gifts nyc, holiday markets nyc, NYC Flea Markets, things to do NYC nov 6, THREE Erin Cadigan. You can follow any responses to this entry through the RSS 2.0 feed. You can leave a response, or trackback from your own site.